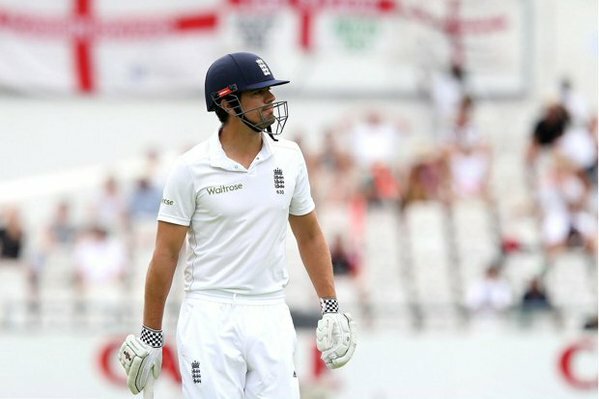 After England’s 4-0 drubbing in india, Alastair Cook’s captaincy is in jeopardy. Cricket evolves. Cricket stays the same. You could probably say that for each year of the last two centuries. One of the sport’s abiding attractions is how it retains its traditional values but continues to remain relevant, reinventing itself and adapting to the changing world. Cricket’s greatest asset is its versatility. So at the start of 2016 we had Ben Stokes bringing T20 cricket to the Test arena, with his memorable, devastating 258 in Cape Town. He made 186 of those runs in boundaries, and by the end of it admitted that he was more or less ‘trying to hit every ball for six.’ He struck eleven over the ropes and one enormous blow beyond wide long off was more of a golf shot, the kind of colossal drive you might see Phil Mickelson unleash as he fades the ball around a big dog-leg at Augusta. A month later Stokes was upstaged by Brendon McCullum, on his last Test appearance ransacking the Australian bowling for a sensational hundred in just 54 balls, the fastest Test century of all time. It was an innings that truly combined T20 with baseball. Such were the number of slices over the slips that Steve Smith even posted a man at long stop, directly behind the keeper. It evoked memories of McCullum’s firecracking 158 not out in the first ever IPL match in Banglalore. He now beats a well trodden path for thirtysomethings from the Test match scene onto the T20 circuit. Yet at the end of the year we had India, spiritual home of T20, in the middle of an unprecedented sequence of 13 home Test matches in the space of six months. With their resounding 4-0 drubbing of England, they have gone the entire year unbeaten in Tests. With India’s new emphasis on Total Cricket and the local groundsmen giving them the bare pitches they desire it is going to be hard to dislodge them from their no1 Test ranking in the immediate future. And in the wings they have a 15 year old – Pranav Dhanawade – who scored 1009 not out, in one innings, this year. The first 300 with a broken bat. Though some of the bowlers were only ten, and he was dropped 22 times. As if to further reassure the cricketing world that long form cricket is not stumbling to a slow death and does appeal to the younger generation, two other talented teenagers arrived in the Test format and served notice of their dedication and durability – Mehedi Hasan for Bangladesh and Haseeb Hameed for England. Hasan enabled his country to beat England over five days for the first time and come of age as a Test nation. As one old Test-match force – West Indies – slowly declines, another emerges. England’s year has fluctuated, on and off the field. It’s the usual story really, of some notable achievements – like beating South Africa away in the Test series – and disappointing failures – such as allowing Pakistan to level the series at The Oval and sloppy batting in Dhaka, Vishakapatnam and, well, everywhere else in India. The top order is perpetually shaky. James Taylor’s sudden retirement due to his heart condition has left a significant hole. At least Alastair Cook seems to have at last found someone in Hameed capable of matching his indefatigability as an opening partner. It’s a real shame that, following his hand injury in Mohali, we will have to wait til July (for the Test series against South Africa) to see Hameed in an England shirt again. The Test performances have been erratic perhaps partly because more resources have been focused on the white ball game. They certainly delivered on that front. They won 11 out of 18 ODIs, exceeded the previously rarefied air of 300 seven times and at Trent Bridge eclipsed the world record one day score, making 444-3 against Pakistan, an innings containing 16 sixes. There’s no dozing in the stands these days as England nudge and nurdle through the middle overs. There are prizes to be won for a catch in row T! Alex Hales’ 171 also finally overtook Robin Smith’s record England one day score, made in the featherweight-bat years of the early 1990s. How England’s one day outfit fare in India after Christmas will determine whether or not they are favourites for next summer’s Champions Trophy. 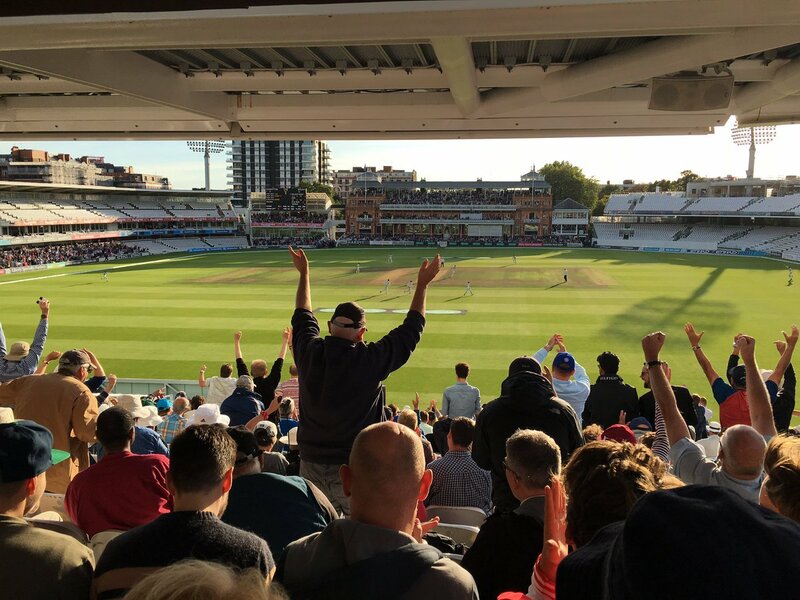 On the domestic front there was also a throwback to the old days with 15,000 people turning up to Lord’s for an exciting climax to the county championship, as Middlesex, with a little bit of collusion, overcame Yorkshire’s and Somerset’s challenge. Middlesex’s title – their first since the days of Mike Gatting and John Emburey – owed great credit to that yeoman of the game Angus Fraser, who restored loyalty and pride in a county he has served unfailingly for three decades. Elsewhere however, Durham’s relegation at the end of the county season having got into serious debt is a salutary reminder that, outside India, staging cricket is a fragile business. I was part of Durham’s early foray into the first class arena in the early 1990s and the excitement when the new ground at Chester le Street was opened was tangible. The first match was 21 years ago and the venue, emerging from windswept municipal football pitches, with the grand old Lumley Castle as a backdrop, looked impressive in appearance and concept. It breathed new life into a blighted region clamouring to better celebrate its rich sporting heritage. No one then foresaw the dwindling of Durham’s building funds, the stalling of the local economy, or, perhaps most significantly, the online boom rendering people more and more inactive. Suddenly everyone wants convenience, the world at your fingertips, easy access. This is not satisfied by being stuck in a traffic jam trying to get into the ground or squeezing onto the once-an-hour rattler from Newcastle to Chester le Street. It doesn’t help if they’re charging £45 for you to sit in a draughty stand with no wifi to watch England take on a shivering West Indies outfit whose best players have decided to opt for the warmth and wealth of the IPL. It was that decision, of course, that enabled the West Indies to pull off the heist of the year and win the World T20 (and their women did the same.) Eight of the team that brilliantly stole victory from England in Calcutta had IPL experience, compared to only one of England’s (Eoin Morgan.) Ian Bishop’s impassioned ‘Carlos Brathwaite – remember the name! !” when the Barbadian hulk struck the title-sealing fourth successive six off Stokes was the commentary line of the year. Strangely, Brathwaite has been almost forgotten since, having managed very little except an irrelevant 51 not out – batting at no.9 – in the innings defeat against India in Antigua. That was the match in which Virat Kohli made 200 – his maiden double-century – and with more than 2500 runs in all formats, averaging 88, he would be most people’s international player of the year. He is clearly a driven man. With the benefit of a billion fans Kohli is rich and famous, an Indian demi-god. But in England in years with an even number, cricket generally struggles for prominence, competing with either a football World Cup, or the European Championships and the Olympics, as it did in 2016. With this in mind arranging three Tests against Sri Lanka – two in succession up north in May – was not the brightest piece of scheduling and the crowds were poor. 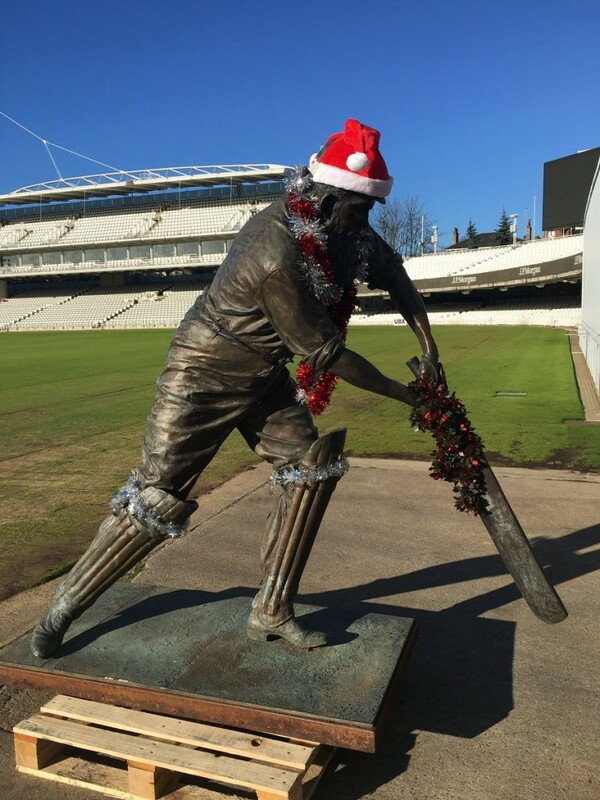 Only Lord’s and the Oval sell out Test matches. This brings into sharp relief how else to fill the expensively-funded cricket stadia that Giles (Clarke) built, or rather, demanded to be built. The ECB’s preferred solution, an eight team city-based T20 tournament, is the hot potato being irascibly tossed around the counties, as each selfishly assesses their own situation rather than looking at the bigger picture. Surrey, one of the main dissenters, even commissioned their own research to prove the viability of the status quo. They are missing the point. What the domestic game needs is not money so much as profile. The Nat West Blast may have attracted a record 900,000 spectators this year, but that is still only an average attendance of 7000, and, to reiterate the point from last month’s issue, cricket is now a UK teenager’s 11th favourite sport. Amateur clubs struggle for playing members. Lack of nationwide exposure means that men of prodigious talents such as Joe Root and Ben Stokes are not the household names they should be. Live terrestrial coverage of the game has been mislaid and cricket no longer has national significance. Major television interest (beyond Sky) must be rekindled. No tinkering at the edges will achieve this. The only way is by creating a new all-singing all-dancing tournament at the height of summer involving all the best players in the world (including England’s.) Colin Graves, the chairman of the ECB, knows this and is determined to follow it through. ‘I will not be distracted,’ he said to me recently at an awards dinner. So we end another twelve months of excitements and disappointments and progress and reversal, captains fighting for their credibility and arguments about domestic structure. It was ever thus. A year in English cricket is the Groundhog Day of sport.